“Mahout” is a Hindi term for a person who rides an elephant. The elephant, in this case, is Hadoop — and Mahout is one of the many projects that can sit on top of Hadoop, although you do not always need MapReduce to run it. Mahout puts powerful mathematical tools in the hands of the mere mortal developers who write the InterWebs. 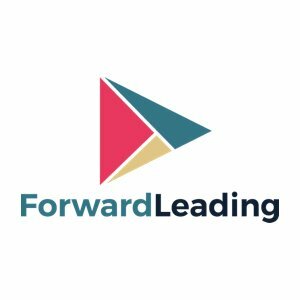 It’s a package of implementations of the most popular and important machine-learning algorithms, with the majority of the implementations designed specifically to use Hadoop to enable scalable processing of huge data sets. Some algorithms are available only in a nonparallelizable “serial” form due to the nature of the algorithm, but all can take advantage of HDFS for convenient access to data in your Hadoop processing pipeline. Machine learning is probably the most practical subset of artificial intelligence (AI), focusing on probabilistic and statistical learning techniques. For all you AI geeks, here are some of the machine-learning algorithms included with Mahout: K-means clustering, fuzzy K-means clustering, K-means, latent Dirichlet allocation, singular value decomposition, logistic regression, naive Bayes, and random forests. Mahout also features higher-level abstractions for generating “recommendations” (à la popular e-commerce sites or social networks). What this little snip would do is load a data file, curse through the items, then get 10 recommended items based on their similarity. This is a common e-commerce task. However, just because two items are similar doesn’t mean I want them both. In fact, in many cases I probably don’t want to buy two similar items. I mean, I recently bought a bike — I don’t want the most similar item, which would be another bike. However, other users who bought bikes also bought tire pumps, so Mahout offers user-based recommenders as well. Both examples are very simple recommenders, and Mahout offers more advanced recommenders that take in more than a few factors and can balance user tastes against product features. None of these require advanced distributed computing, but Mahout has other algorithms that do. 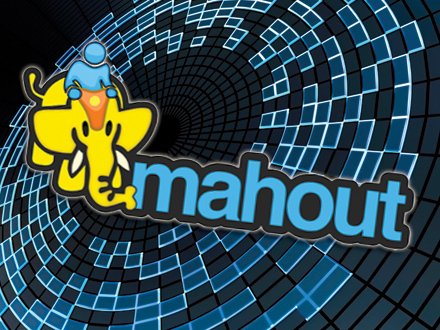 Mahout is far more than a fancy e-commerce API. In fact, other algorithms make predictions, classifications (such as the hidden Markov models that power most of the speech and language recognition on the Internet). It can even help you find clusters or, rather, group things, like cells … of people or something so you can send them …. gift baskets to a single address.